The company has released an initial inferred resource for the Timok lower zone deposit, a joint venture with Freeport-McMoRan Exploration. 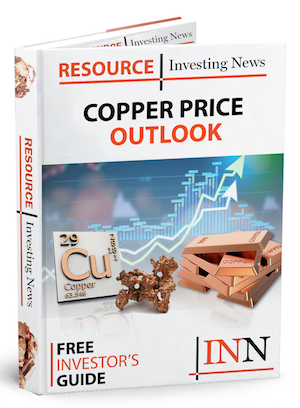 Nevsun Resources’ (TSX:NSU) Timok (Cukaru Peki) lower zone deposit in Serbia contains 31.5 billion pounds of copper and 9.6 million ounces of gold, the company said on Tuesday (June 26). An initial resource estimate for the project, which is a joint venture with Freeport-McMoRan Exploration, reveals a porphyry copper inferred mineral resource of 1.7 billion tonnes grading 0.86 percent copper and 0.18 grams per tonne gold, or 0.96 percent copper equivalent. “The Timok lower zone ranks high among world porphyry deposits by tonnage and by grade. With 1.1 billion tonnes grading 1.11 percent copper equivalent, the Timok lower zone benchmarks well against planned and operating block cave mines,” said Nevsun CEO Peter Kukielski. “We expect that Timok is the start of a new generation of mines in Serbia’s Bor region. The lower zone remains open to the north and at depth. There are multiple high grade upper zone style exploration targets above the lower zone and our exploration licenses have the potential to host entirely new porphyry systems with associated high grade upper zone style mineralization,” he added. Nevsun released a prefeasibility study for the Timok upper zone in March of this year. The lower zone at Timok is distinct because it consists of two mineralization styles. One is a typical porphyry copper-style mineralization characterized by potassic alteration and chalcopyrite with elevated molybdenum. Meanwhile, the second is a high-sulfidation-style mineralization that consists of sericitic alteration with elevated arsenic and base metals (lead, zinc and bismuth). The porphyry copper mineralization is the most important volumetrically at more than 95 percent of the volume at the lower cut off. According to Nevsun, the mineralized envelope extends above the upper zone on the east side with elevations ranging from about 500 meters below the surface to just over 2,200 meters below the surface. Nevsun’s main asset is the Bisha copper-zinc mine in Eritrea, and this week the company was in the news due to allegations of human rights abuses at that asset. Four plaintiffs, all Eritrean refugees, allege the mining company is complicit in violations of international law norms against forced labor, slavery and torture stemming from the construction of the mine. According to a human rights watchdog, a decision on whether Nevsun will go to trial in Canada will be made soon; if it finds itself in the Canadian court system it could set a groundbreaking precedent. “The Supreme Court’s decision could have a significant impact on how Canadian companies operate overseas,” said Karyn Keenan, director of Above Ground, a group that works to ensure that companies based in Canada or supported by the Canadian state respect human rights wherever they operate. Nevsun has denied all claims. 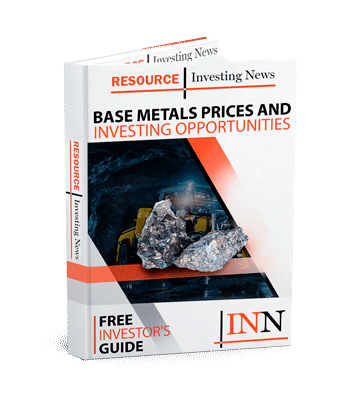 In May, Nevsun was the target of a C$1.5-billion takeover bid from Lundin Mining (TSX:LUN) and Euro Sun Mining (TSX:ESM); however, the company was not interested. As of 9:11 a.m. EST on Wednesday (June 27), Nevsun was trading at C$4.30.